Although my focus is on paper crafts, I have done other projects as well. I thought I would share a few with you. This is a game I made for the children in my class. 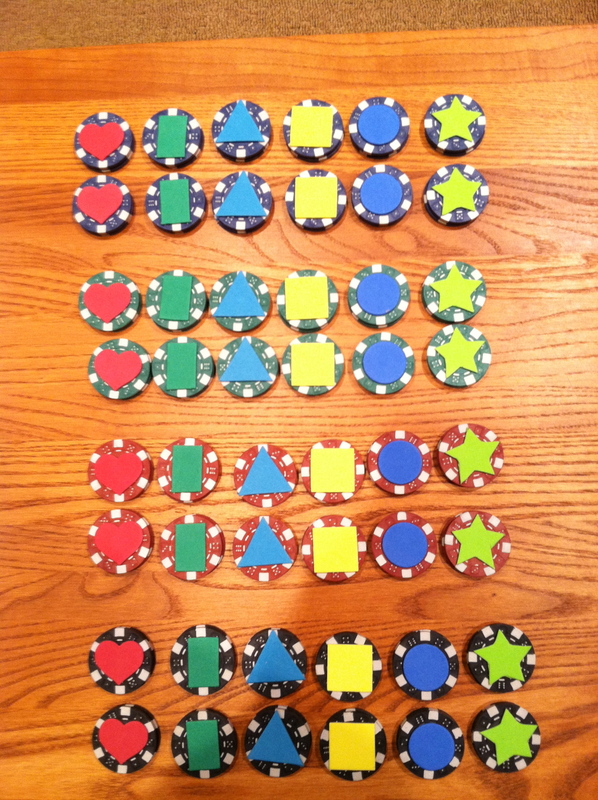 With this game, they can match colors, shapes, and sort by number. 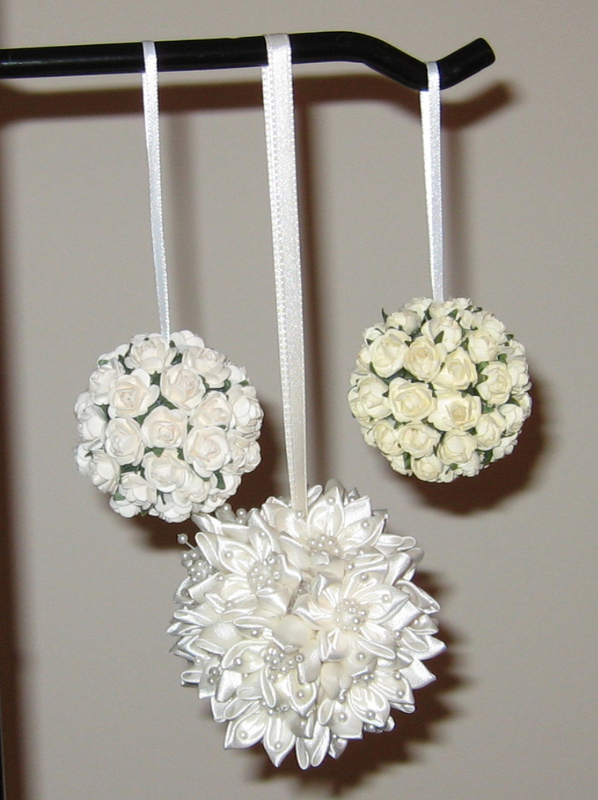 These ornaments were made for a bride to give to her wedding party. 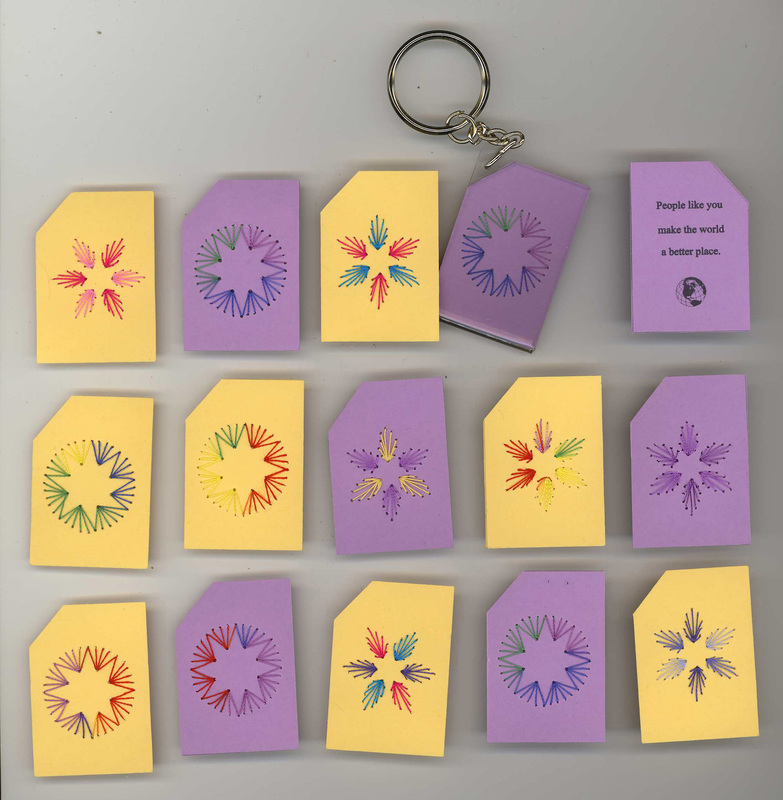 These key chains were made for end-of-the-year teacher gifts. I purchased the blanks at AC Moore and stitched each one to personalize them. I will post some other crafts another time. Thanks for taking a peek! Hi Robin, Linda sent me over to your new blog, It is VERY nice. Congratulations on making the big step (something I need to do!) Your “Children’s game” is pure genius!